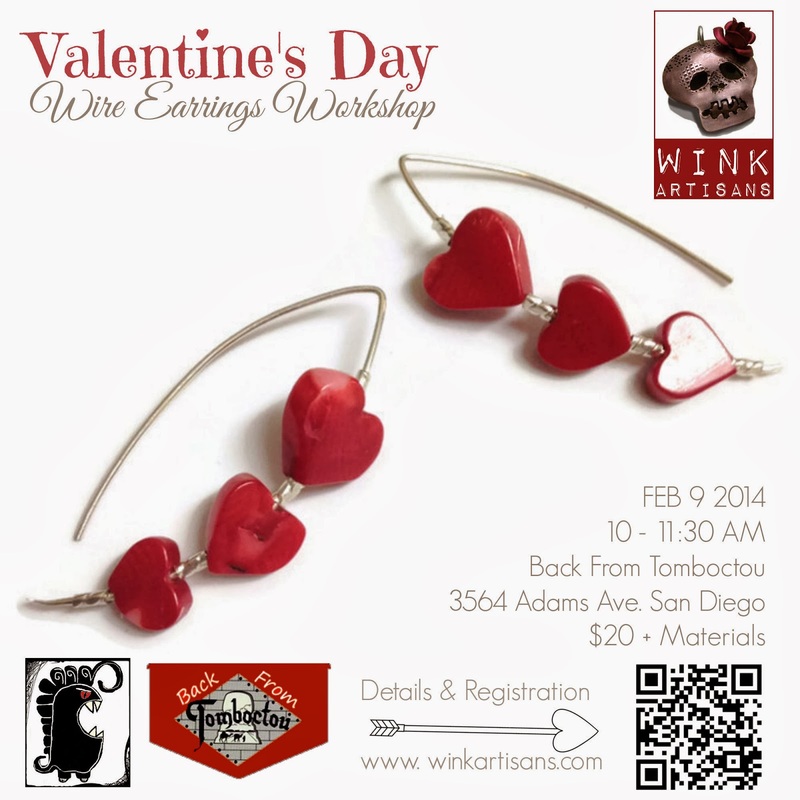 Winkers, here's another great opportunity to get Hands-On-Bling. Get ready to craft your own wire earrings. 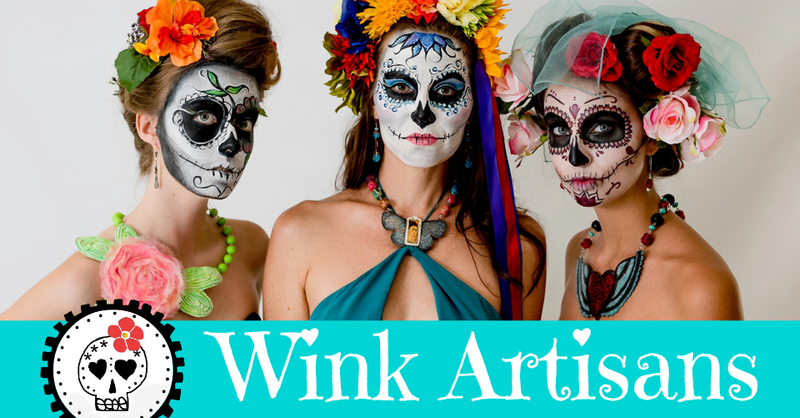 Yes, I'll be taking silver wire, pliers, hammers, and other metalsmith goodies to create some Wink bling. So whether you're guarding off cupid or welcoming him into your life, join me and let's have fun! 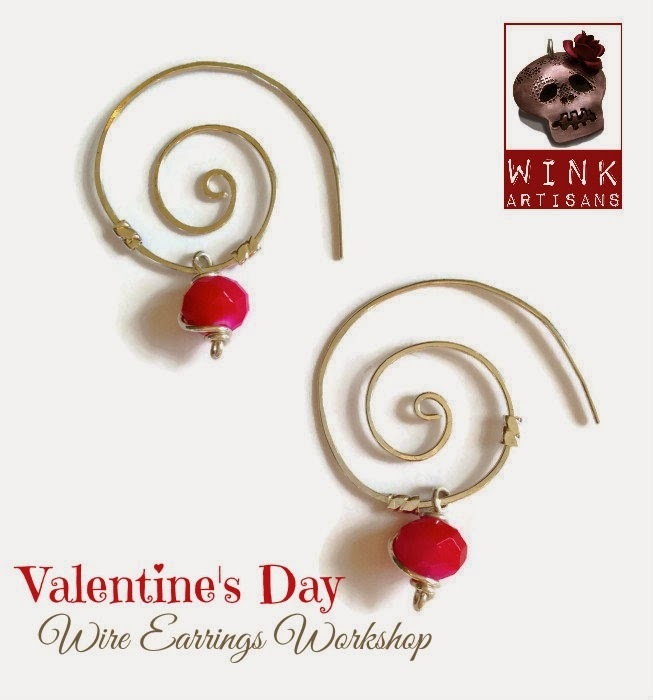 We will use basic wire working & forging techniques to create a pair of earrings. Option one spiral earrings with a dangling bead. Option two is paddle earrings with heart beads. Materials purchased from instructor or participants can bring their own. Workshop is limited to six participants. Early registration is highly suggested to reserve a spot & supplies. 2 qty. 5” of 20 gauge sterling silver wire (half soft). 2 qty. red sinox crystal beads (or any beads you like. Make sure the wire can go through the bead perforation. No pearls as the wire will not go through). 2 qty. 2.5” of 20 gauge sterling silver wire for beads wire wrapping. 4 qty. sterling silver twist crimp beads that can go through the wire (can be substituted with 24 gauge round wire or with 20 gauge half-round wire). 6 qty. Sterling silver twist crimp beads that can go through the wire. (can be substituted with 24 gauge round wire or with 20 gauge half-round wire). fiction film when you wear them. Just a glimmer or silver in the form of a bangle bracelet or a gold pendant necklace will do just perfectly. The whole idea behind the shiny trend is to not overdo it. A good rule of thumb is to take one accessory off before you leave the house because we all have a tendency to overindulge in the jewelry department.